Life insurance is a product that gives individuals and employees peace of mind, knowing that the coverage will financially support designated beneficiaries in the event of the insured individual's death. Selecting the most appropriate coverage can be confusing because there are many products to choose from. The variety of products also makes it difficult for employers to decide which types of coverage to offer employees. 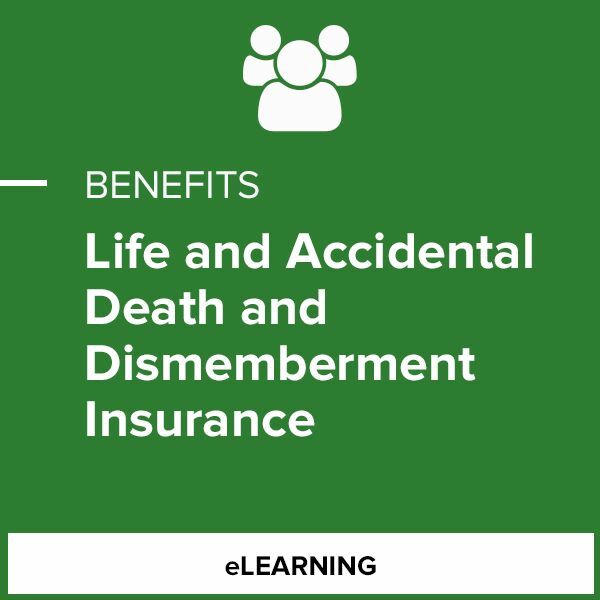 This course offers in-depth coverage of life insurance, business-oriented life policies, underwriting and eligibility, and the principles and requirements of accidental death and dismemberment (AD&D) insurance.